Hi, everyone! 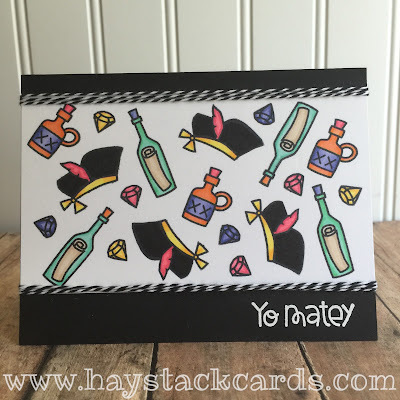 Today, I have a fun pirate-themed birthday card to share using the Ahoy Me Hearty stamp set from Paper Smooches. Summer makes me think of pirates because one summer when I was getting my PADI open water diver certification, I did a shipwreck dive off the coast of the Outer Banks in North Carolina. If I remember correctly, we were not too far from Captain Blackbeard's sunken ship. I randomly stamped several of the smaller images from the stamp set and colored them with Copics before adding that panel to a black card base. 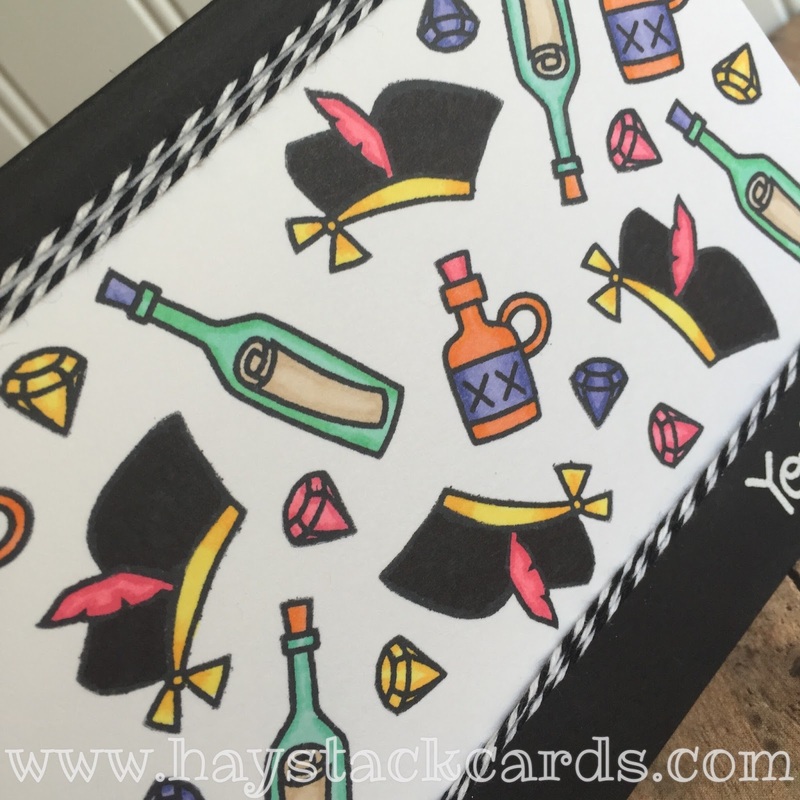 I heat embossed the sentiment with Versamark ink and white embossing powder before adding some black/white twine. Argh, matey! Thanks for stopping by! !